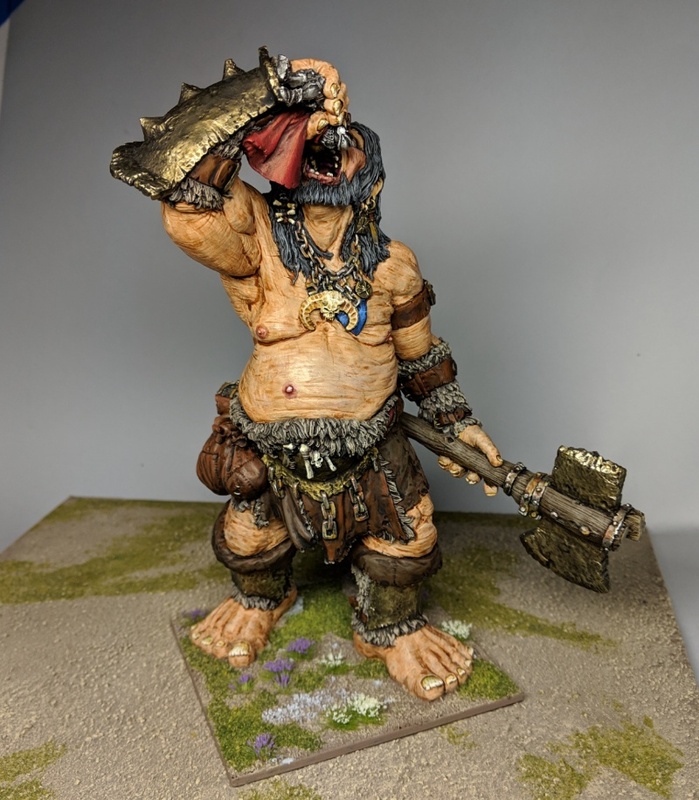 Mucklegeet the Giant, from Heresy Miniatures. 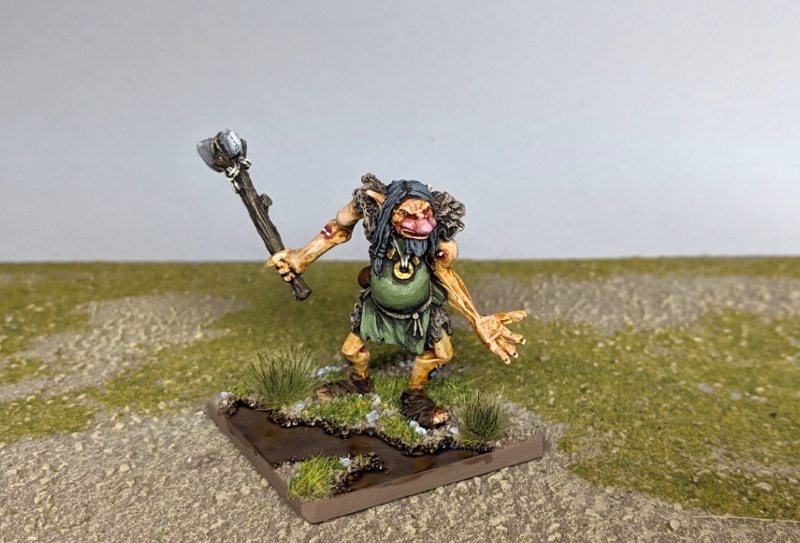 Troll by Artizan Designs from Northstar Military Figures. 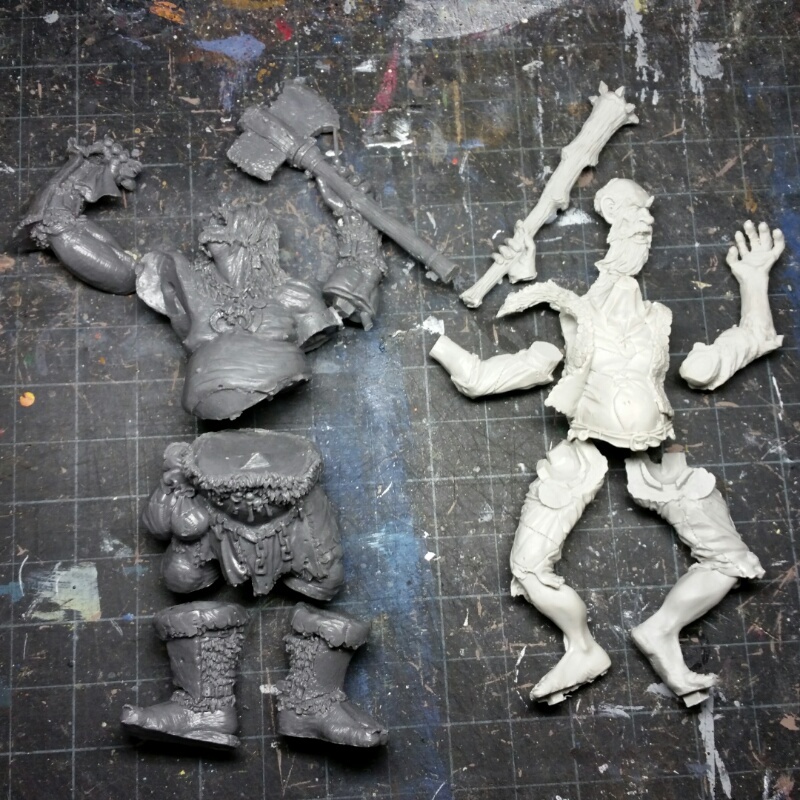 Comparison w/ Satyr Art Studio & Marauder trolls. 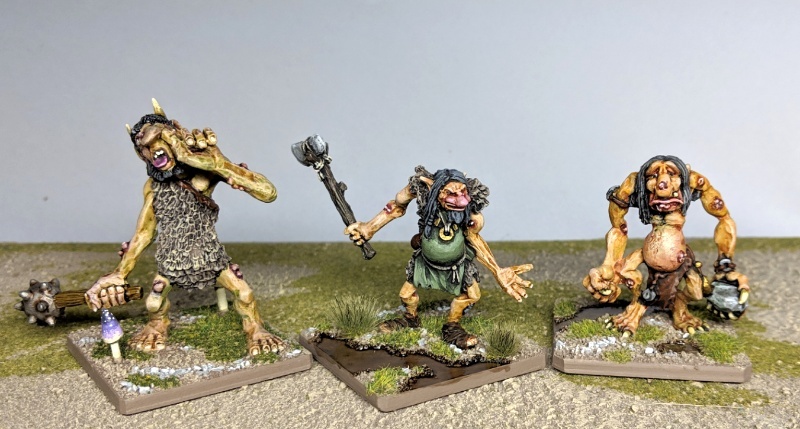 The three most recent Satyr Art Studio (Drew Williams) trolls have been painted. 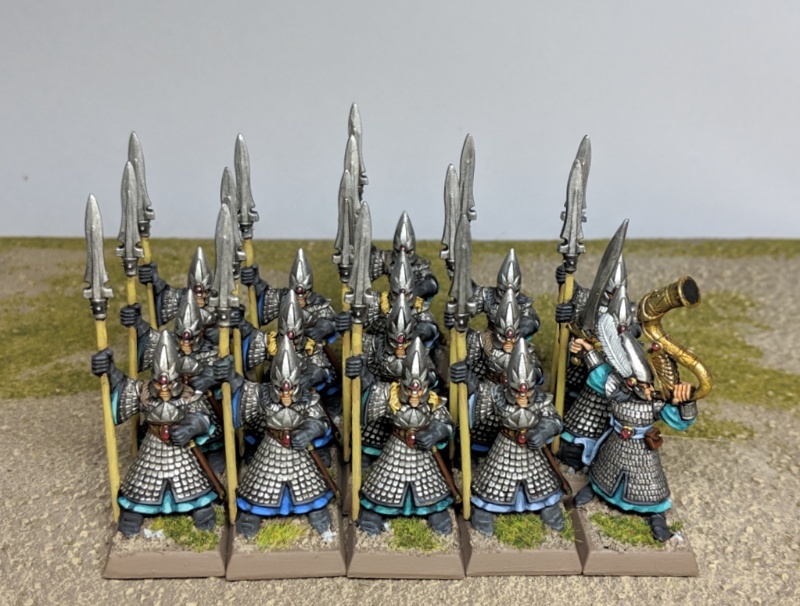 Here they are with the previous sets. That makes nine. Two of the most recent came with alternate heads. I'm contemplating a few different options to bring the immediate numbers up to ten. 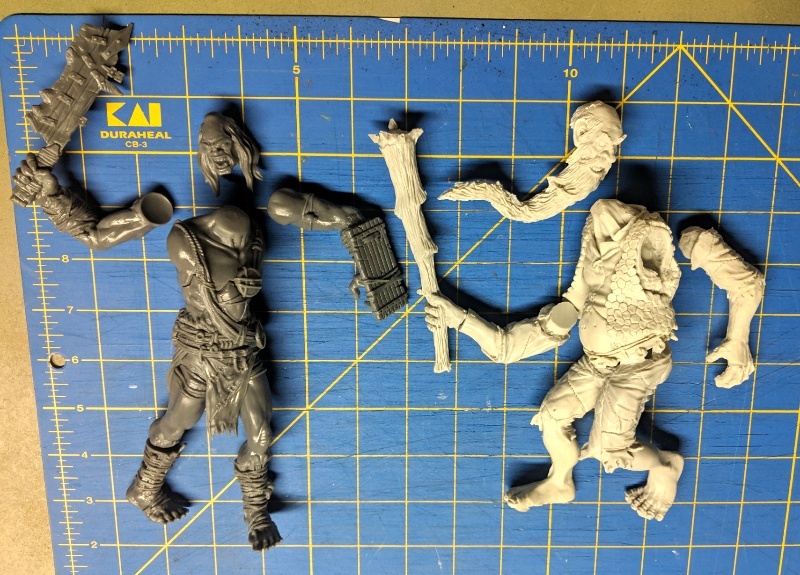 Been working on these three figures since the tail end of Deadcember. 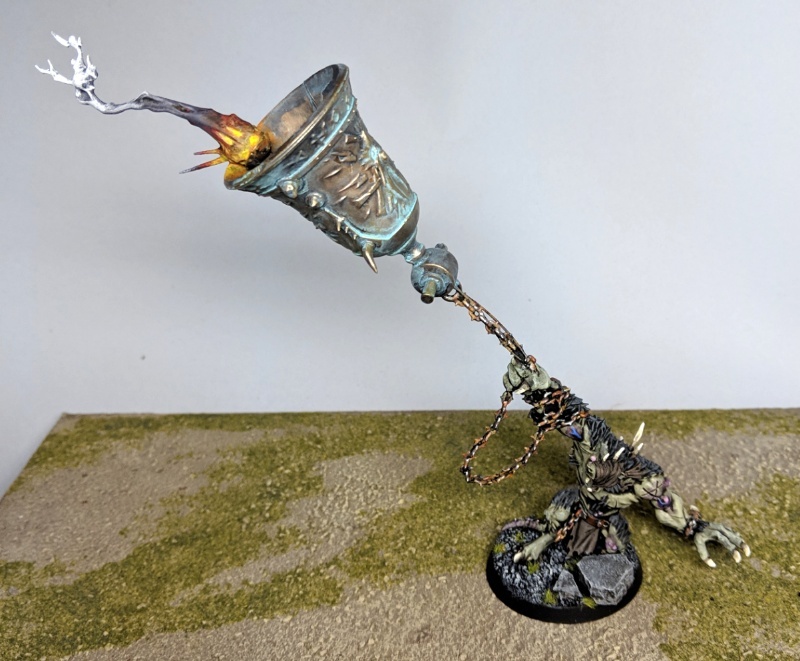 Snail's pace given that they're a speed-painting dream, but they're finally done. 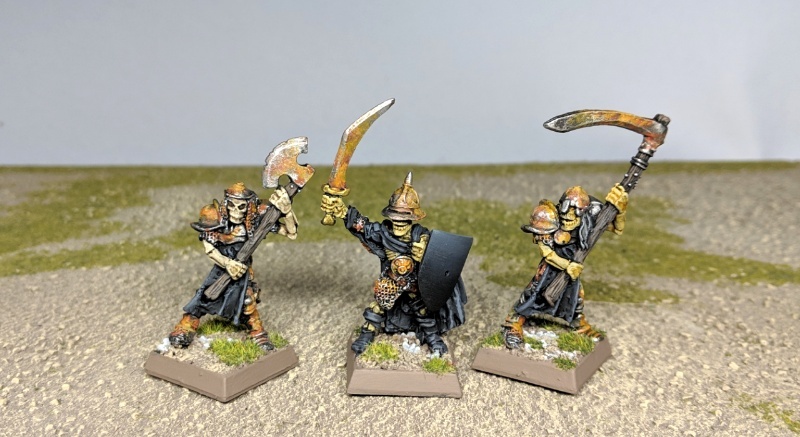 My Deadcemnber '19 dream is to get a bunch more old '80s lead skeletons to paint. I have a few more, but not many. I'm currently wrapping up my OWAC2 entry for March. (No peeks until it's up on the OWAC site.) But I'm also looking ahead to April. Although I will continue to prep minis for the OWAC, I will probably take April as my month off for the challenge. (We get one Mulligan.) Why? 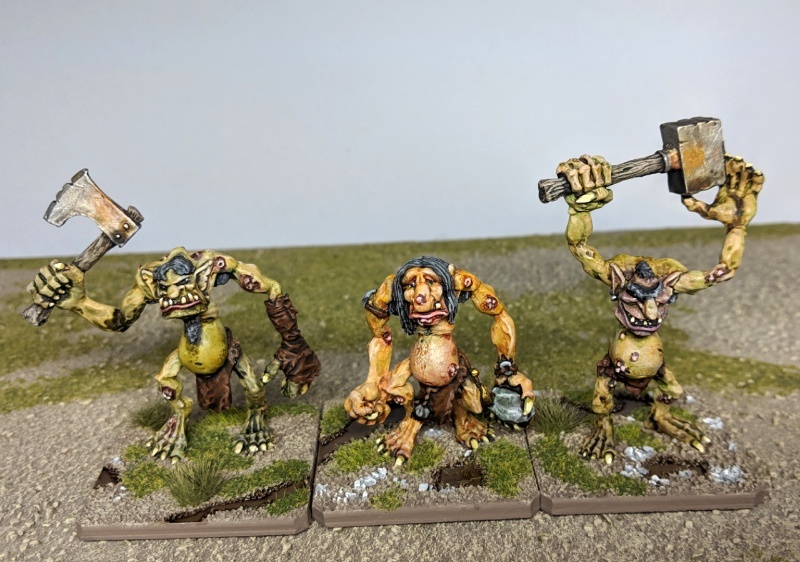 Paint more trolls. While not giants, they are relatively big when compared to humans. Goremaw. Also from Reaper. It's big. 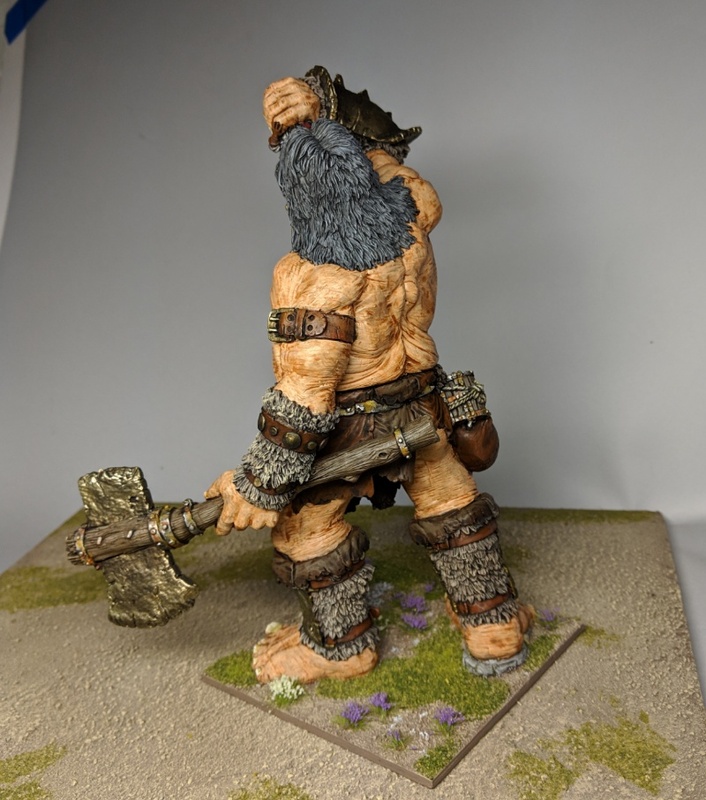 Sculpt my own giant. 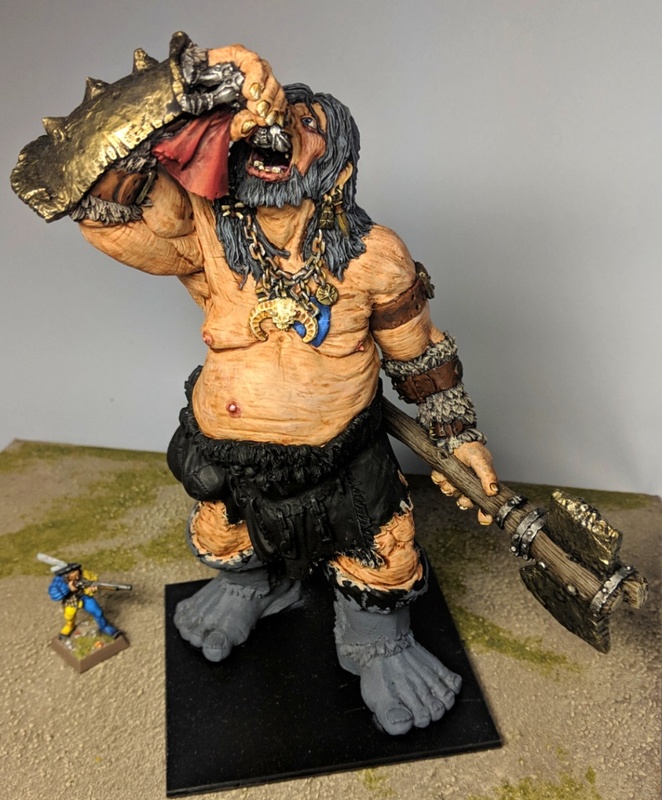 I've really been wanting to sculpt more, and the idea of sculpting my own Big April giant has been in my mind for at least a couple of years. 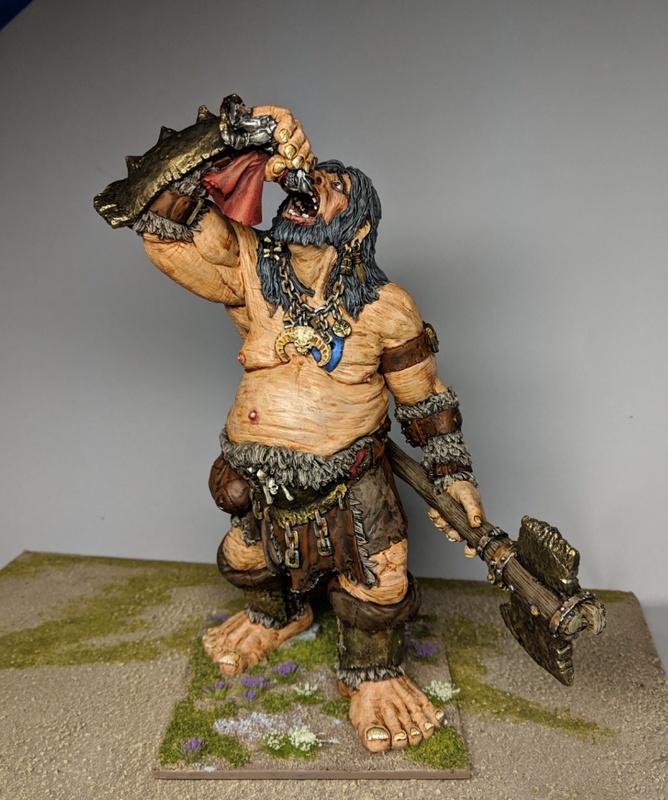 I've got about a week before April, and obviously the above giant will be on my table while I sort it out. Reunited at last! 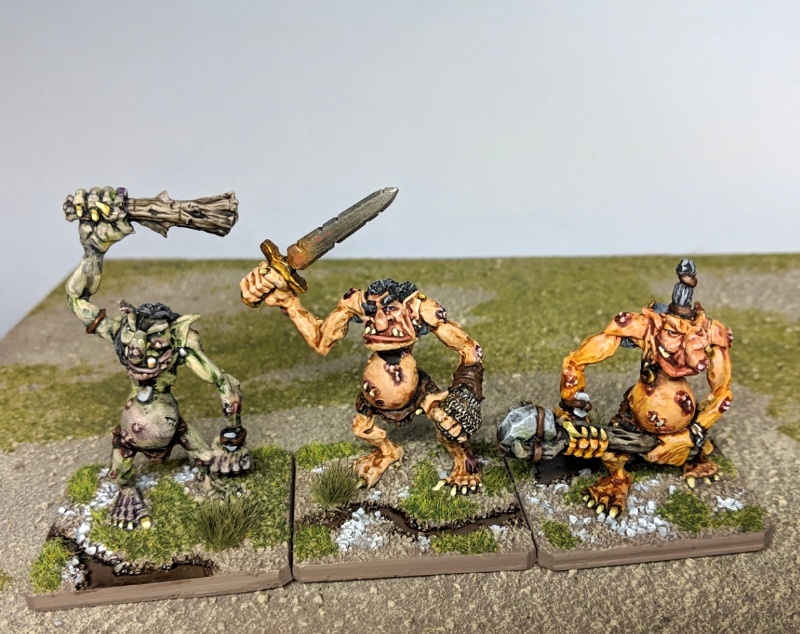 I owned and painted a set of these six Marauder Miniatures MM40 trolls (sculpted by Trish Carden) when the first came out. A little while later, I traded off two of them to a friend, but kept the other four because I had written Mike, Vyv, Neal, and (P)Rick and did some (very) minor conversions appropriate to the names thereon. 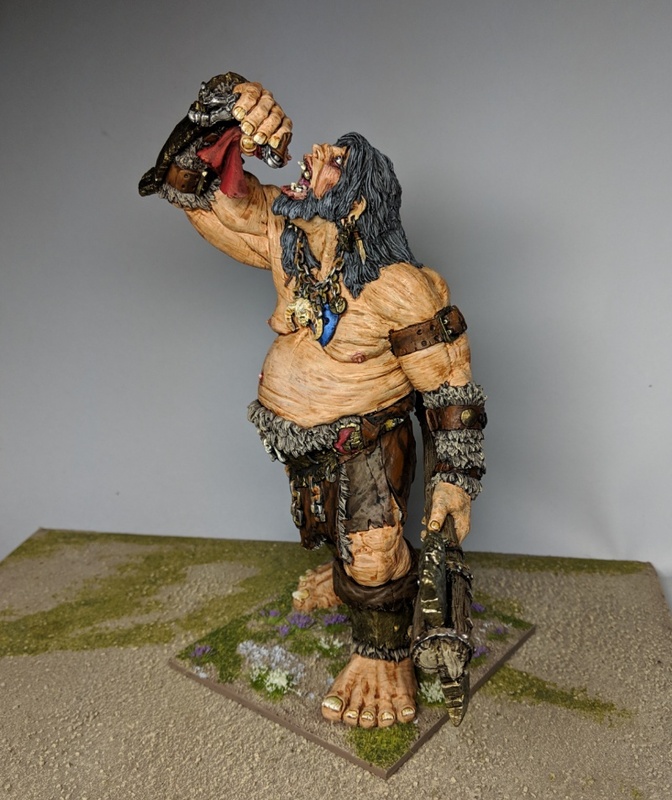 A little while ago, inspired by the more recently released Satyr Art Studio trolls (sculpted by Drew Williams) I decided to strip the four trolls and remove the converted bits (which fell apart in the stripper anyway) with the idea of giving them a better paint job than I had back in my early years. But I just couldn't bring myself to do it until I got the other two again and had a full set. 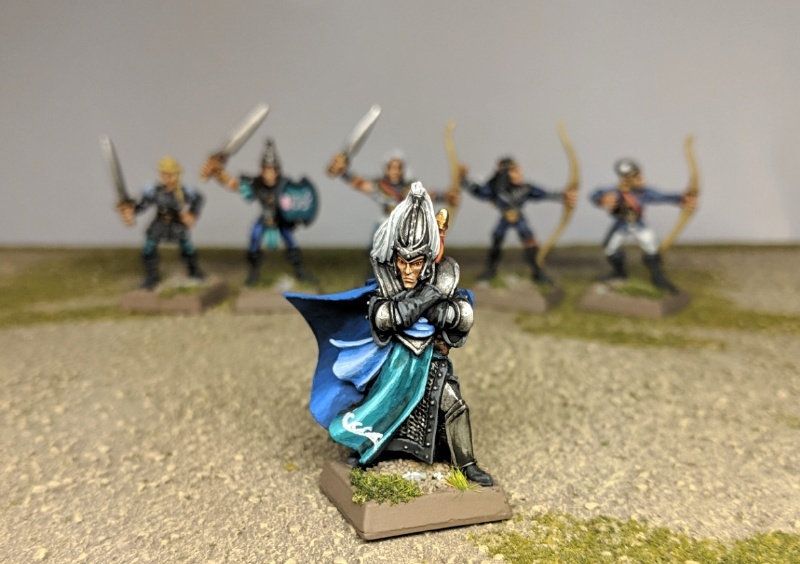 So, once I finally tracked down the missing two a month or so ago, I finally got to painting. 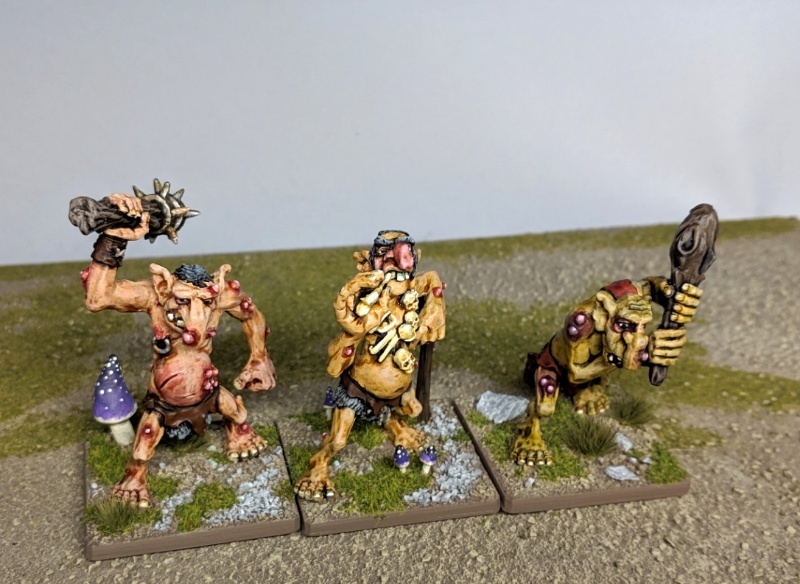 They're some of my favorite trolls ever made! 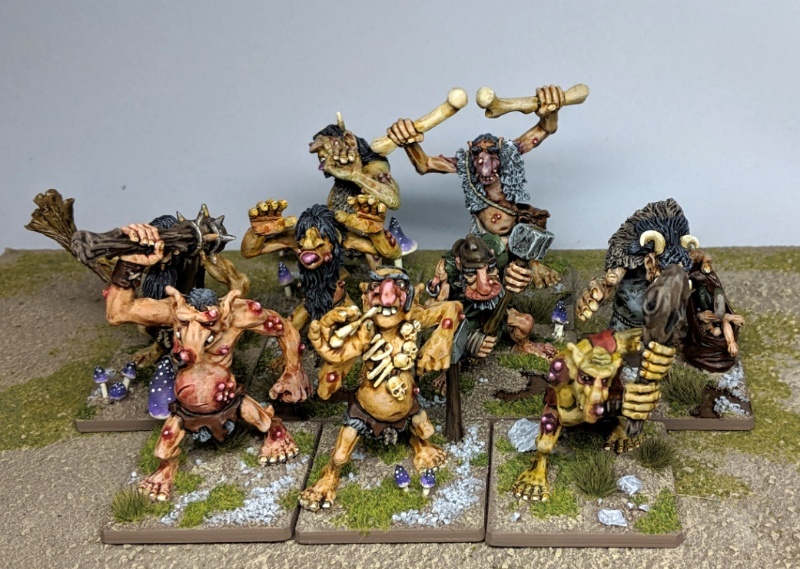 Here are the TrishTrolls alongside the DrewTrolls. I will eventually pull all of my OWAC sea elf entries together in a single page here on my own site. But if you'd like to read about my entries as they come in, what the OWAC is all about, and check out some of the other awesome projects, I encourage you to check out the link above. Finished painting on this one.